We recently received word that Arai Helmets created some new graphics for their 2019 Quantum-X, Signet-X, and VXPRO-4 helmet lines. This gives the helmet designs, which are a couple to a few years old at this point an updated look to keep buyers interested. The Quantum-X and Signet-X came out in 2016 and are two of the better full-face helmets on the market today. They’re based on the Corsair-X. They’re designed similarly but specifically for two different head types, which is what got the most buzz upon their release. The VXPRO-4, on the other hand, is a motocross helmet that Arai released in 2015 to follow up the much-loved VXPRO-3. 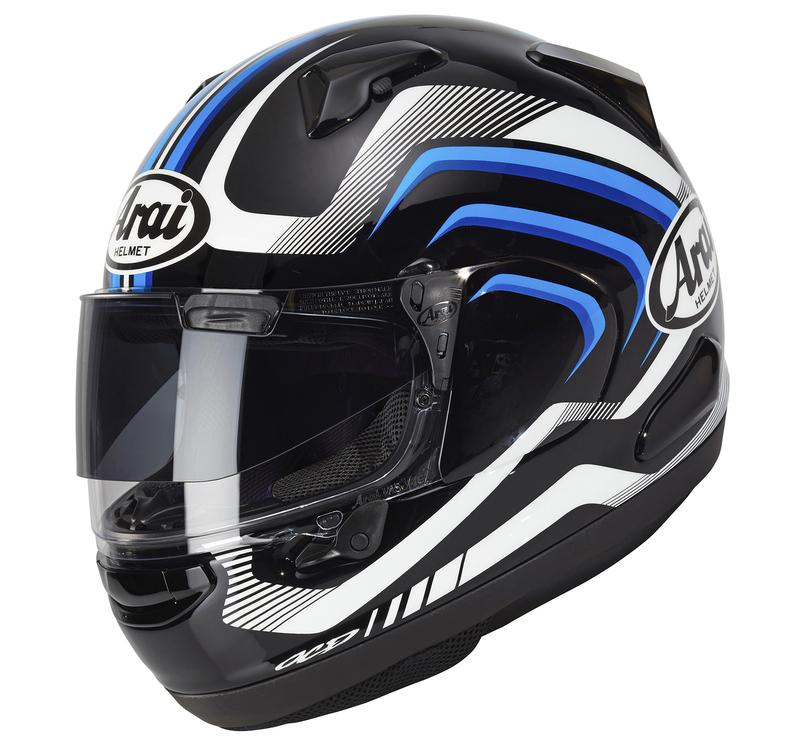 The Quantum-X (above) is the bucket you want if you need a helmet designed for a round-oval head shape. 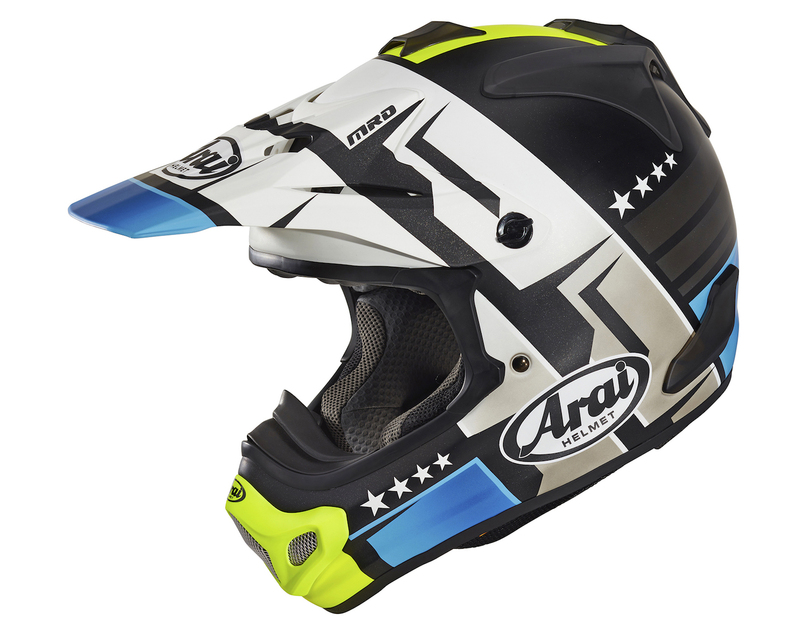 Arai calls the new Quantum-X graphic design Cliff. The Cliff design offers two colorways in two color schemes: Red/Black Frost and Red/White. The new designs are attractive and full of angles. The Quantum-X gets a blockier design, while the Signet-X gets more swoopy lines.